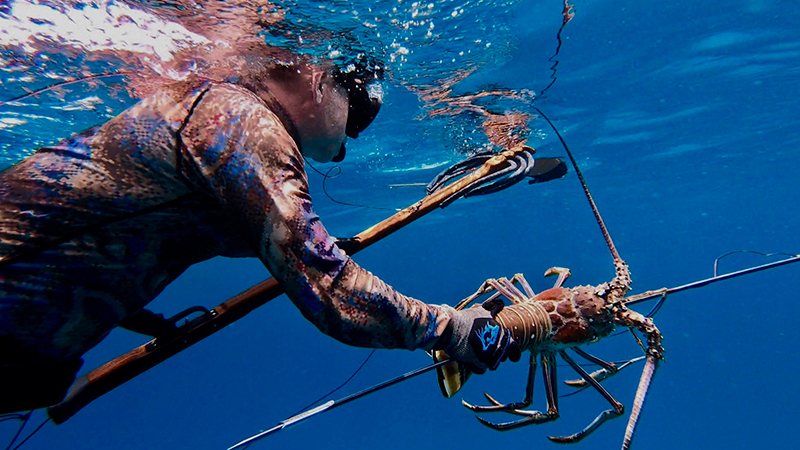 This year Spearfishing Today celebrates its 10 years anniversary. During these years we have build up quite some knowledge about Fishing around our island. Our first Spearfishing location was Cozumel. Let us share our knowledge about Fishing in Cozumel. 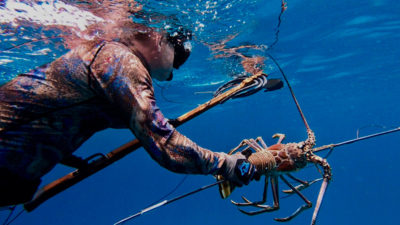 Spearfishing is a very sustainable way of getting Fish for food. Spearfishing in Cozumel must be done freediving only and outside the Marine Park and outside protected areas. 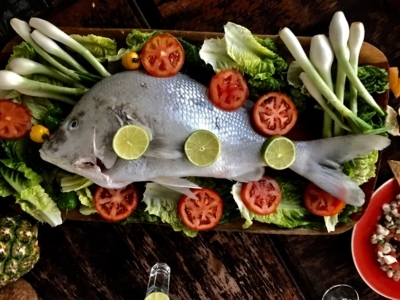 You take a deep breath, dive down and select the fish you want to eat. 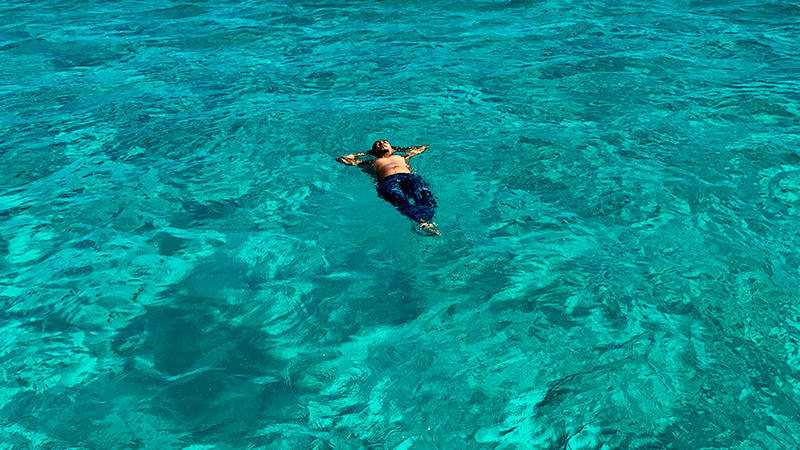 Cozumel offers a wide variety of Fishing spots like reefs drop offs, wrecks, coral heads and deep blue water. Targeted fish and seasons can be found by downloading this pdf: Fishing calendar. 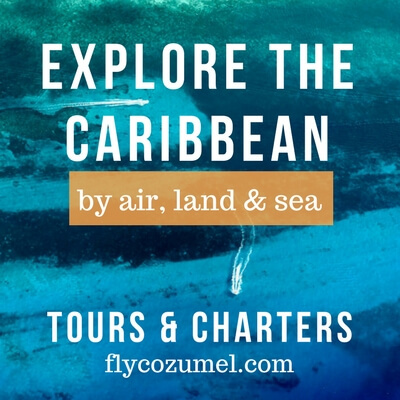 The island of Cozumel is a fantastic destination for Deep Sea Fishing / Trolling. Warm tropical waters, currents and reefs create perfect Fishing habitats. 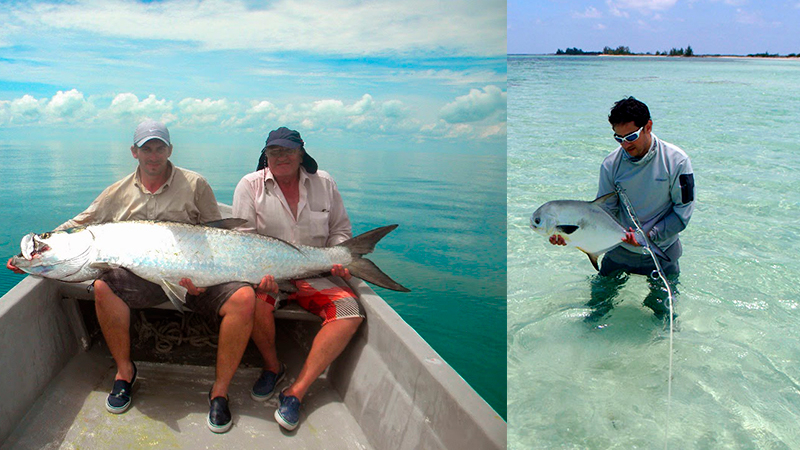 Quite some different charters are offering great experiences. Deep Sea Fishing / Trolling is also called big game fishing and heavy tackle is needed. The boat drives, lines are out and stay alert for a “bite”. 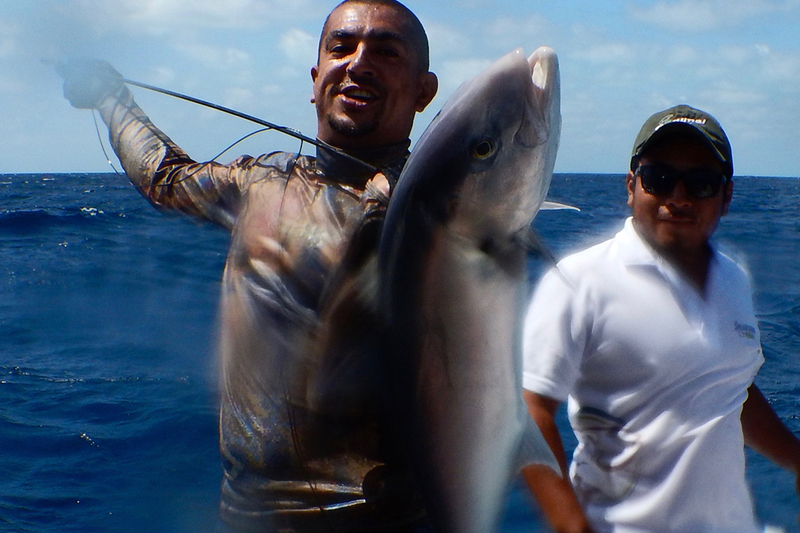 One can expect thrilling fights with big Fish…..
Yellowfin Tuna is very rare to find around Cozumel. So if you are specifically looking for Yellowfin Tuna, Cozumel should not be your destination. Worth mentioning is the yearly Cozumel Fishing tournament, the Rodeo de Lanchas Mexicanas. 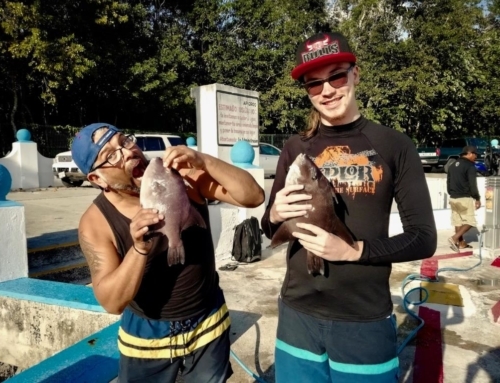 Bottom Fishing is a wonderful activity to do in Cozumel. 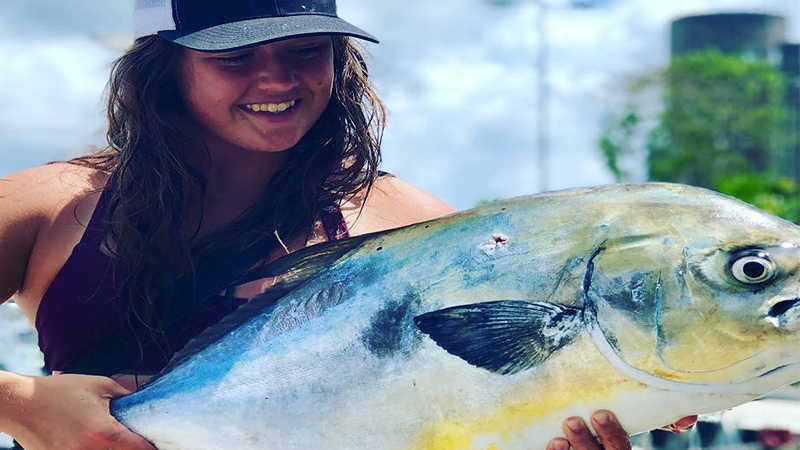 It is an active way of salt water fishing and family friendly. The targeted Fish is around most of the year. The difference between Deep Sea Fishing and Bottom Fishing is the following. 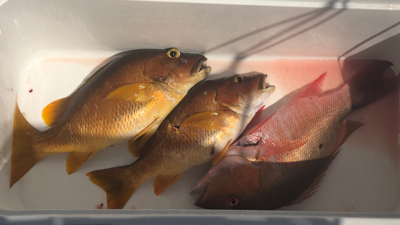 Bottom fishing means we drop the lines (with bait) straight down to the bottom (up to 600 ft) in search for reef Fish like Grouper, Snapper, Triggerfish, Barracuda. The charters mentioned above (Billfish Boys and Chichi Charters ) can combine Bottom Fishing and Deep Sea Fishing Charters in 1 trip. 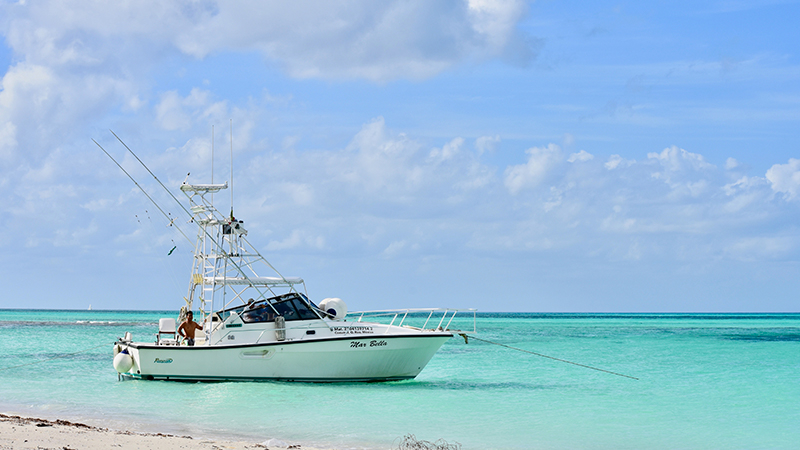 The North of Cozumel has incredible Fishing grounds. It can easily be called fly Fishing / flat Fishing paradise. Shallow lagoons, bays, fresh water, salt water filled with Bonefish, Tarpon, Permit, Snook, Barracuda and more. You will fish from the boat or standing in the water using a fly rod, real and a weighted line. 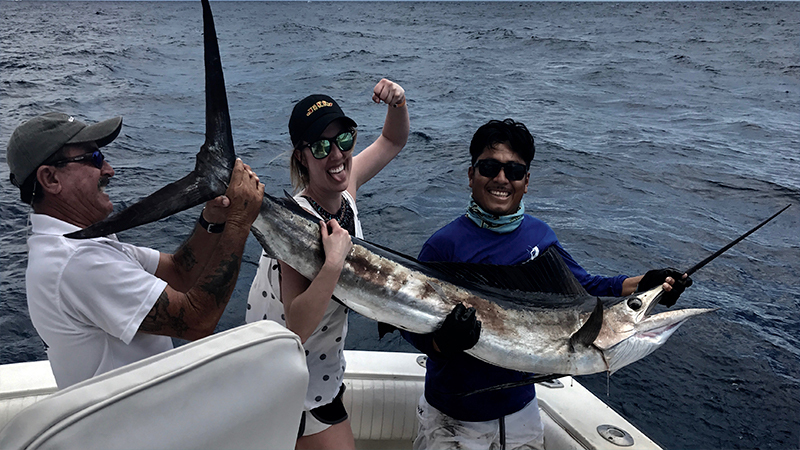 When you go Fly Fishing in Cozumel a little boat (panga) will take you to the Northern part of the island; your boat can easily navigate in the shallow waters of this area. 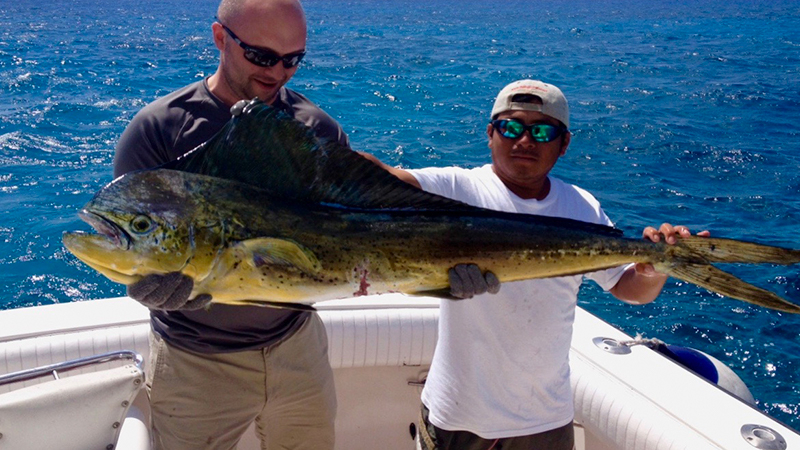 We can recommend Ivan Catzin to go out fly Fishing in Cozumel. 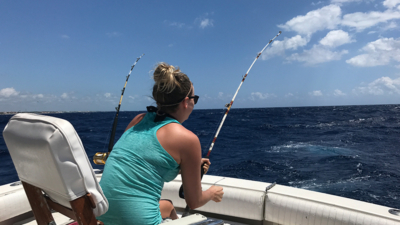 Fishing in Cozumel? Spearfishing, Deep Sea Fishing, Bottom Fishing or Fly Fishing? We welcome you! 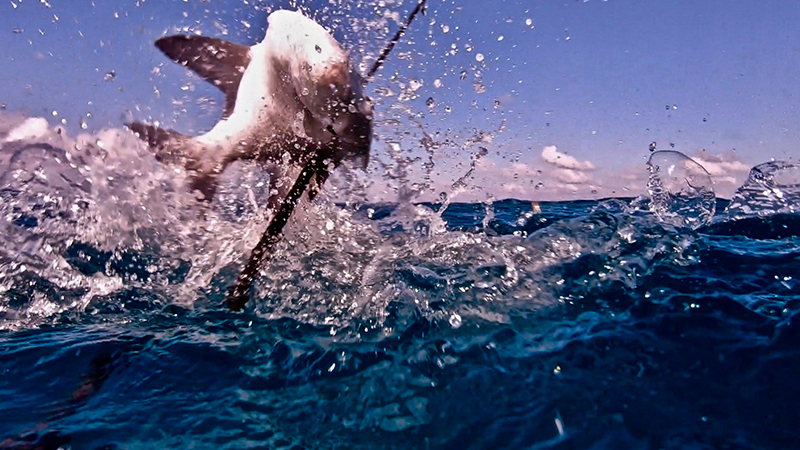 More info, contact: Bookit@SpearfishingToday.com.